Stackt Market is now open! I didn’t know about this place until recently I drove by and I noticed the construction company was putting up the final touches on stacking these shipping containers around the lot. 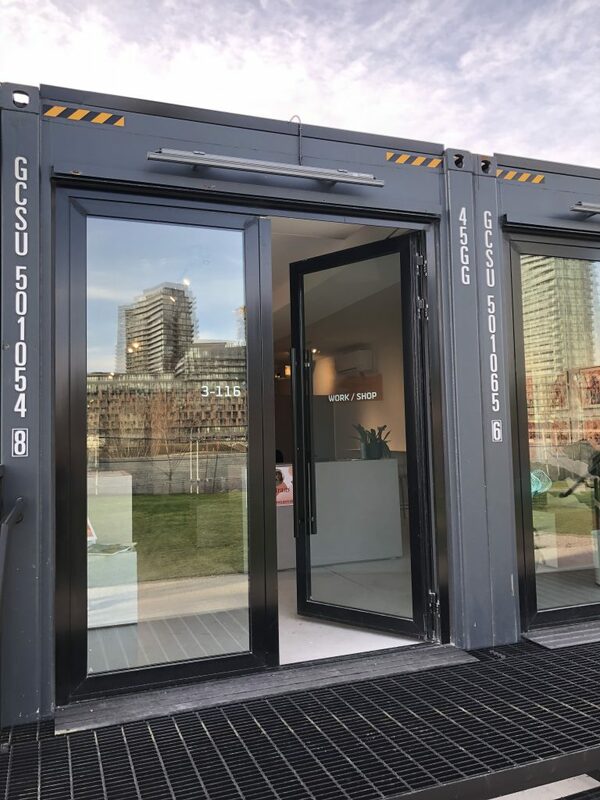 Apparently, this is an unique concept using reusable shipping containers, stacked them up and made a community out of itself in the Bathhurst Street and Front Street area in the heart of the downtown Toronto core. 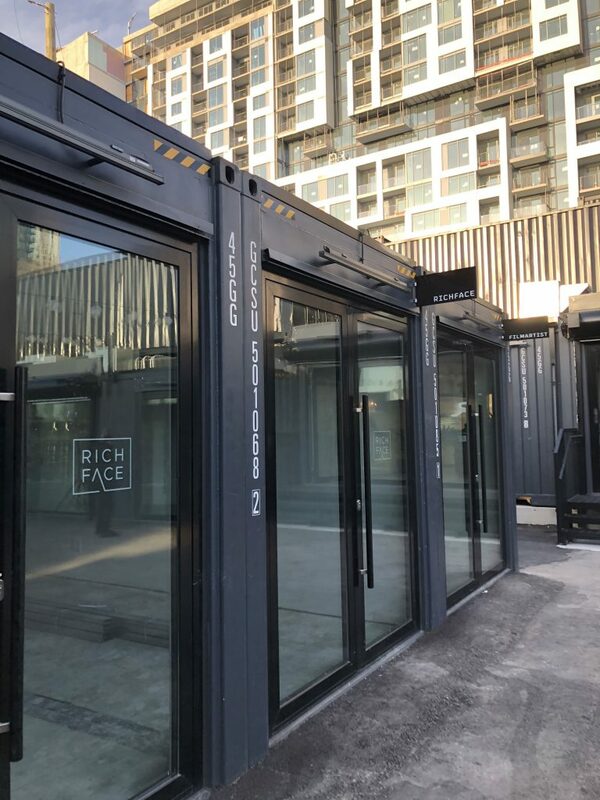 The location is quite cool as it’s located near the Thompson Hotel, near the Fort York area and near the bridge and the train tracks. Using shipping containers for retail purposes isn’t a new concept in other parts of the world. In fact, my recent press trip to Phoenix, The Churchill uses the same concept using shipping containers for shops and bars and restaurants. But I am glad Toronto is catching on with the latest trends and making things happen. 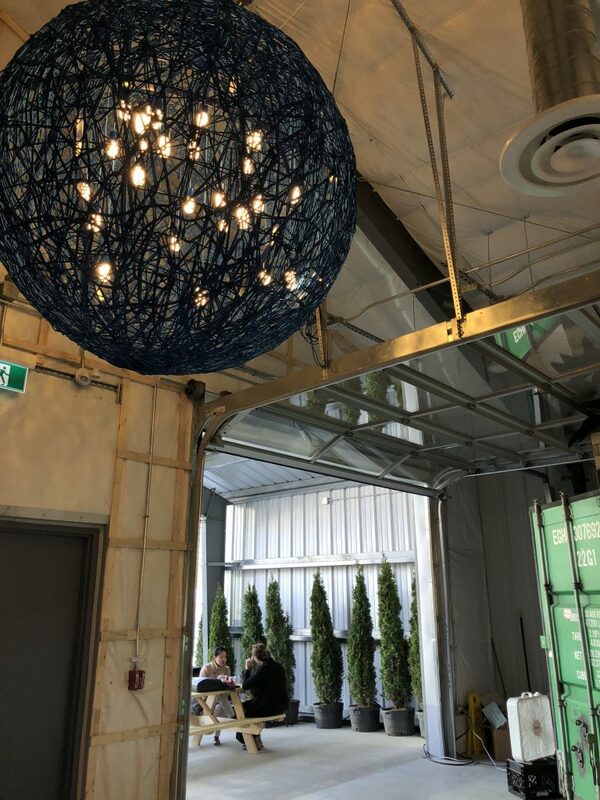 Stackt Market uses good use of the space, they have a number of sections with the stacked shipping containers. 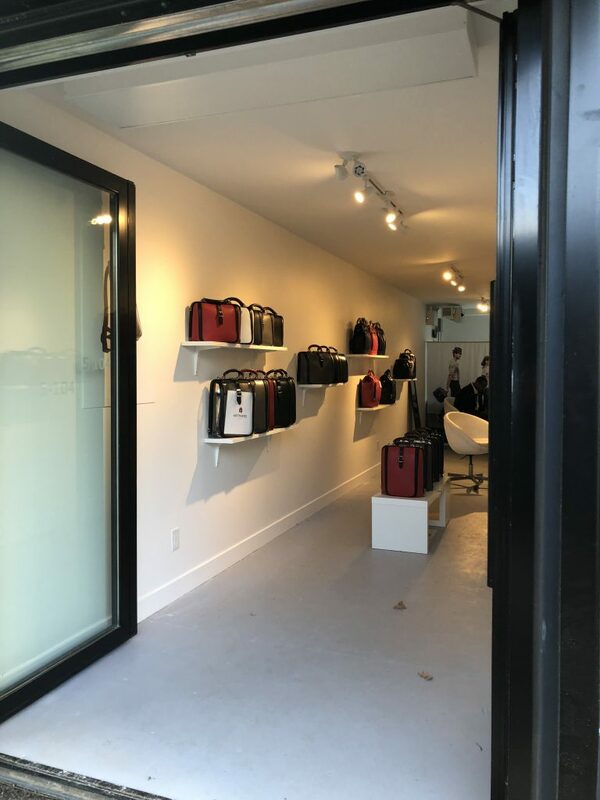 Some retail stores have a single narrow store space, it’s very deep inside but narrow but it does the job especially for entrepreneurs who doesn’t need that much space for storage or display. Some retail stores have double the size, I suspect they have 2 shipping containers, took out some of the sides and make the space larger. Since the Stackt Market is still a new spot, not all retail stores are ready to open for business yet, but I would say, it’s about 70% fill up. 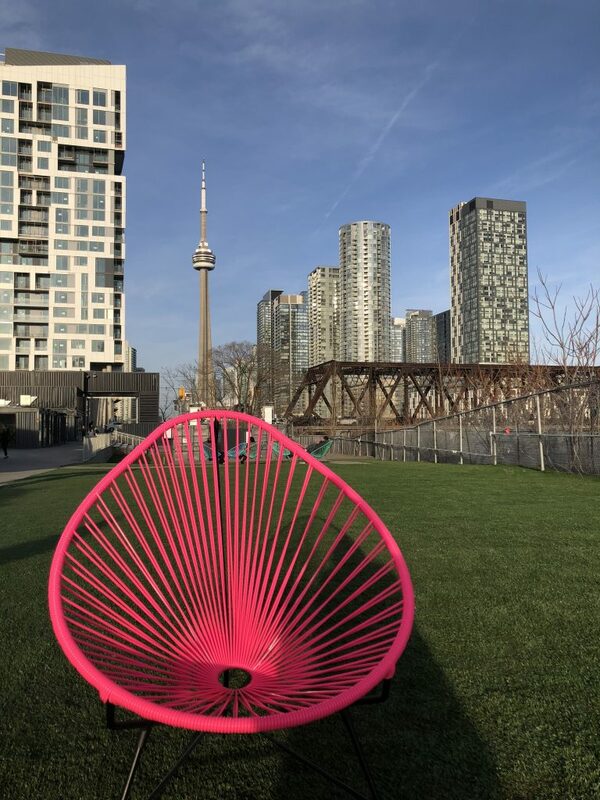 There are open space and colourful lawn chairs for people to see and chill. At the back of the section is where the Belgian Moon Brewery is located. It’s a huge space with outdoor picnic tables for people to enjoy the fresh beer. There is also a food vendor selling food in there. 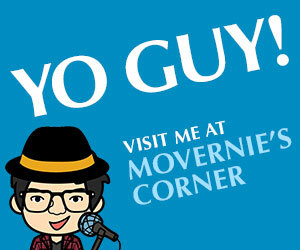 This will be hopping comes summer time with live band and other fun activities. It looks like they will have lots of activities as the weather gets warmer, from yoga to art battle to workshops. Tons of photogenic spots for people to take good photos. I also noticed that there are lots of people who brings their dogs along, I don’t think you can bring the dog inside the store, but with the open spaces and outdoors sections, I think it’s a good spot for dogs to roam around with their beloved people. This is also a great spot for families bringing their children. My only curious question will be….are these retail stores only seasonal? Coz in the cold winter, I am just not sure how well they will flare with people probably not going to ram as frequently in the cold temperature, especially there aren’t whole lot of places for people to sit and eat and drink in warm insulated rooms, since most of the area are in the outdoors. Anyhow, who knows, the Christmas Markets in the distillery district during winter months did well, perhaps, cold winter isn’t an issue at the Stackt Market. Overall, I highly recommended you to check out this Stackt Market, take your dog for a walk, check out some of the retail stores, grab a coffee or an ice cold beer at Belgian Moon. NOTE: I don’t think this place has any public parking as I didn’t see any and this is not really a spot for car parking. It’s more for people taking a walk or ride bicycles.